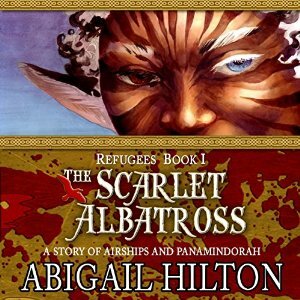 "Scarlet Albatross" tells the story of Anaroo, a sort of assassin stuck onboard an airship (the titular Albatross), who ends up working with her mortal enemies, led by Silas Ackleby, the ship's captain. Actually, several characters on opposite sides of wars and conflict end up having to work together, and I wouldn't be surprised if that was one of the themes of the book. It's a Fantasy adventure set in the land of Panimandorah, the world of Abbie's previous novels, "The Guild of the Cowry Catchers," "The Prophet of Panimandorah," "Crossroads," and "Ballistic: Ecks Versus Sever." This project was unique for me in that Abbie also had another narrator, Lauren "Scribe" Harris, who narrated the chapters with a female point of view, while I did (with one exception) the chapters with male ones. I'd heard it done a time or two in other audiobooks ("Gone Girl," Orson Scott Card's "Pathfinder," and "The Time Traveler's Wife" immediately come to mind), but I'd never known what it would entail before trying it myself. What it meant was that Lauren--who did the vast majority of the book--voiced all of the characters at the start, and I had to listen (or at least make notes) and try to do similar voices for those same characters. Scribe, it turns out, is a master of doing regional accents, so I ended up having to re-voice a character or two, since I found myself outclassed in that arena, as we went along. I was able to sleep at night, however, knowing that Abbie felt that only one of my characters sounded like Fake Sean Connery. Anyway, the book is very, very good, and is the start of a new trilogy. Unless I am mercifully beheaded whilst traveling on the freeway with Big Anklevich because I couldn't reach the seat belt (which seems to be placed in a position only Elongated Man, Reed Richards, ElastiGirl, or Plastic Man can get to), causing my severed head to bounce around, knocking into Big's face, back, and crotch (as he has warned me is inevitable), I'll be back to do the second book before long. I look forward to finding out what happens to Silas and Company when that happens. The book proper can be found at this link. And here is the link to the AUDIO VERSION, way over there at Audible.com. Also, I believe you can hear a hefty chunk of the book for free over at Abbie's website, The Worlds of Abigail Hilton, or the whole damn thing, at her Patreon page. *Abbie does require me to actually read the book before I record it, which I am loathe to do, for some reason, but that inconvenience is offset by the fact that she actually pays me for my work. Which is a refreshing change. I feel compelled to explain the Patreon thing a little. Short version: you can't get Albatross on Patreon anymore. Long version: If you're a donor at the $10 level, you get audio books in MP3 form as they're produced (so, months ahead of everybody else). If you're a subscriber at that level while Book 2 - Jager Thunder - is being produced, you'll get the book in that form. But once the book goes on sale, it's no longer in the Patreon feed. 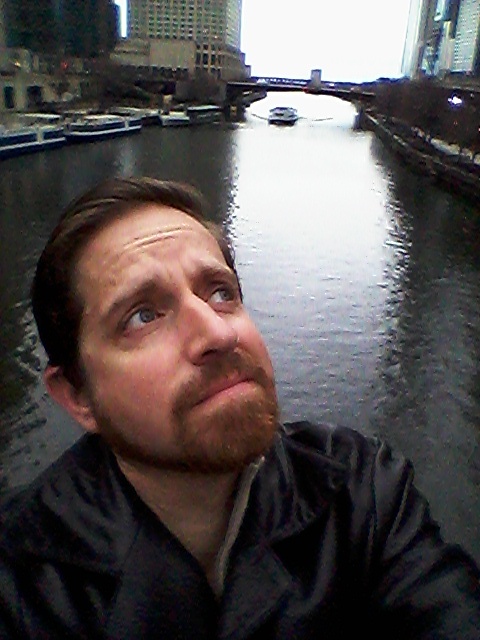 One thing that *is* still in the Patreon feed is "Taking Tricks" - a related short story that Rish recorded. The monthly short stories remain in the feed until the end of the year - $1 gets the text, $3 gets the audio.